These days Google seems to be on a roll when it comes to launching new services. Yesterday, the company launched Google Areo service for hyperlocal services. 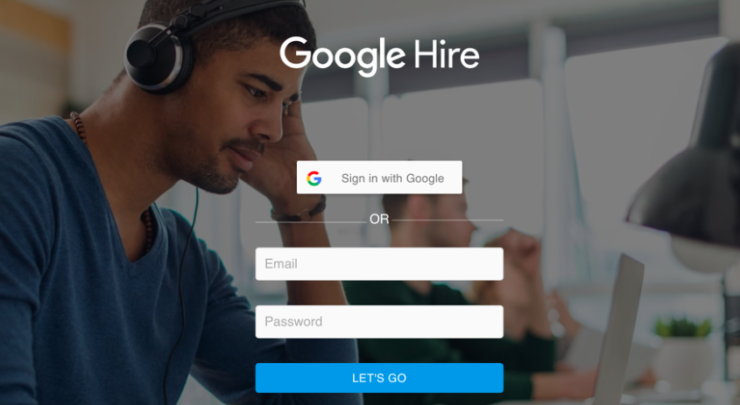 Now, the tech giant has come up with a new service targeting job recruiters, dubbed as Google Hire. The main page for Google Hire can be accessed right now, but the service details are still scarce perhaps not visible for public view. Google Hire project is a part of company’s enterprise and cloud division and is being headed by Diane Greene. Interestingly, Google acquired Diane Green’s startup “Bebop” – a recruitment service, for $380 million in the year 2015. On the Bebop website, you can see posts for job openings at hire.withgoogle.com, which drops a clear hint about what’s going on. Google Hire service has already started working, and its first advertisers are Warner Bros. subsidiary DramaFever and the startups Medisas, Poynt, and others. Google Hire arrives a few months after Google’s Cloud Jobs application programming interface (API), which can be used by the companies to add job search to their websites. It goes without saying that Google Hire could become an overnight rival for job hunting services like Greenhouse, Indeed, Jobvite, LinkedIn, and Oracle’s Taleo. Bebop is a new development platform that makes it easy to build and maintain enterprise applications. We think this will help many more businesses find great applications, and reap the benefits of cloud computing. With the arrival of Hire, it seems like Google has modified the project idea. Pichai’s description does not align with what Google has finally done to Bebop. It remains to be seen if Google Hire takes off successfully. The service already has many rivals who have been in the business for many years now. However, Google’s brand name could work some magic for Google Hire as it would provide various ways to ease up the recruitment process. What are your thoughts on Google Hire? Do you think it will give a tough fight to already established recruitment services like LinkedIn and Indeed? Share your thoughts in the comment section below.